It’s September as I’m writing this. Hot September. 110 degrees hot, in the shade, September, where I live in Southwest Riverside county, in Southern California. But it’s a dry heat, as if that makes it any less hot. However, if you’ve traveled to Florida, or Hawaii, in the summer, when it’s both hot and humid at the same time, and your shirt is drenching with sweat the moment that you step out of an air-conditioned car, or building, you know that there is a difference between dry heat, and tropical heat. Dry heat just feels like the fiery furnace of hell, while tropical heat seems more like a too hot steam bath with no handle to turn off the steam, or heat. The weather and the heat scream “SUMMER!”, but the calendar says that we’re entering autumn, or fall. So which one is it? Is autumn this fall ? Why, of course, it is. 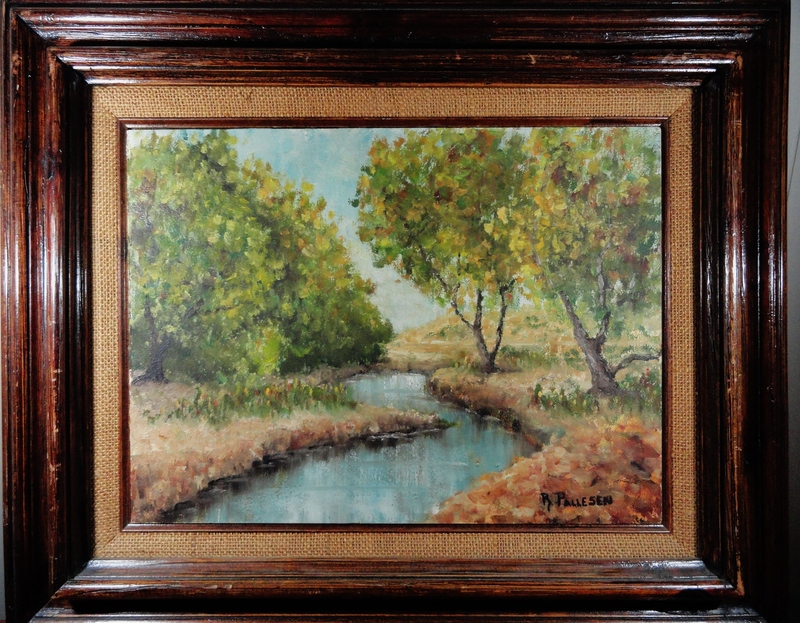 Earline W. Barnes AUTUMN. 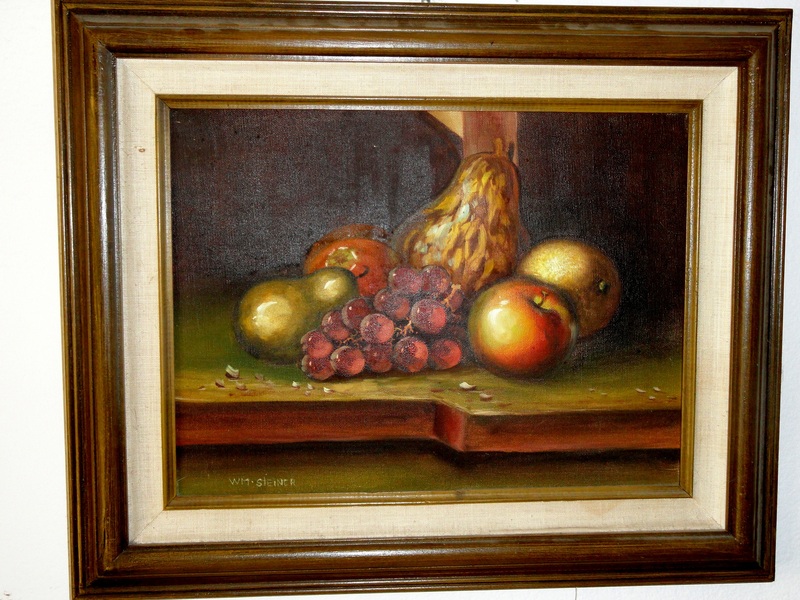 22″ x 28″. 29″ x 35″ framed Oil and pastel on board. Both autumn and fall refer to the same time of year, the season between summer and winter. with the start of the season starting in the northern hemisphere in late September, and ending in November, and starting in March, and ending in May, in the southern hemisphere. But why do some people refer to this time of year as autumn, while other people refer to it as fall? The word autumn is derived from the french word autompne, and the latin word autumnus, that Latinlexicon.org defines as “the season of abundance”. Before the word autumn came into great use in England around the 16th century, the season between summer and winter had been referred to by people in England and northern europe as “the harvest”. That makes sense when you consider the lifestyle of the people of the time, centered around growing crops, and harvesting them, in due season. 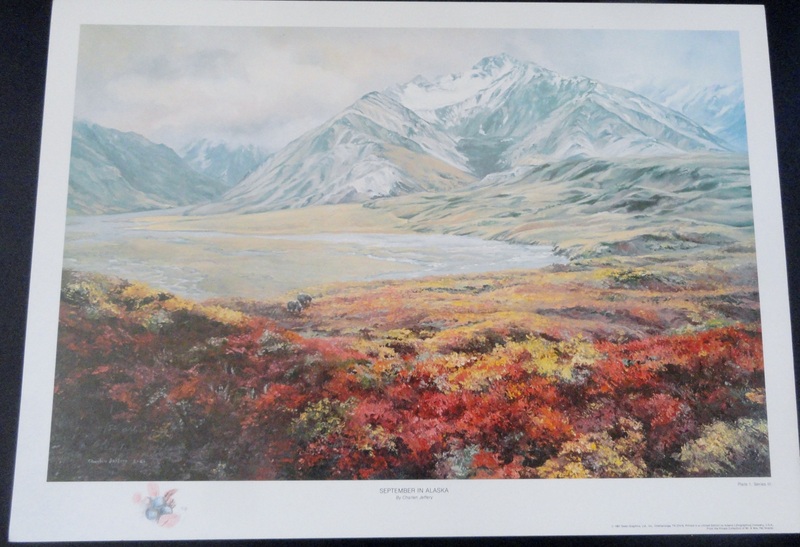 September in Alaska by Charlen Jeffery. Signed and numbered lithograph with pencil drawn remarque. Make offer. So, how did autumn become fall? Ask the pesky North Americans. It’s their fault. The word fall is used interchangeably with autumn in Canada, and the United States, and according to Dictionary.com, may be linked to an old English word feallan, meaning to “fall, fail, decay, and die”, with feallan, itself, being derived from the German word fallanan. Perhaps early North Americans of european descent, wearing triangular hats, forgot to use the word autumn, and in their need to describe what they were seeing, just decided to use the word fall. So now that you know that autumn and fall refer to the same time of year, the season between summer and winter, marked by the changing colors of the leaves, and the harvest, what will you do with the season? Go to the beach, one last time, before the weather cools down? Bathing Beauty by Roy Besser. 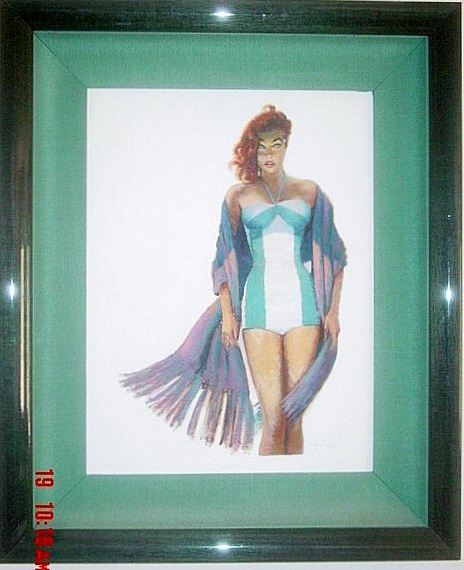 Mid century illustration painting on artists board. Make offer. 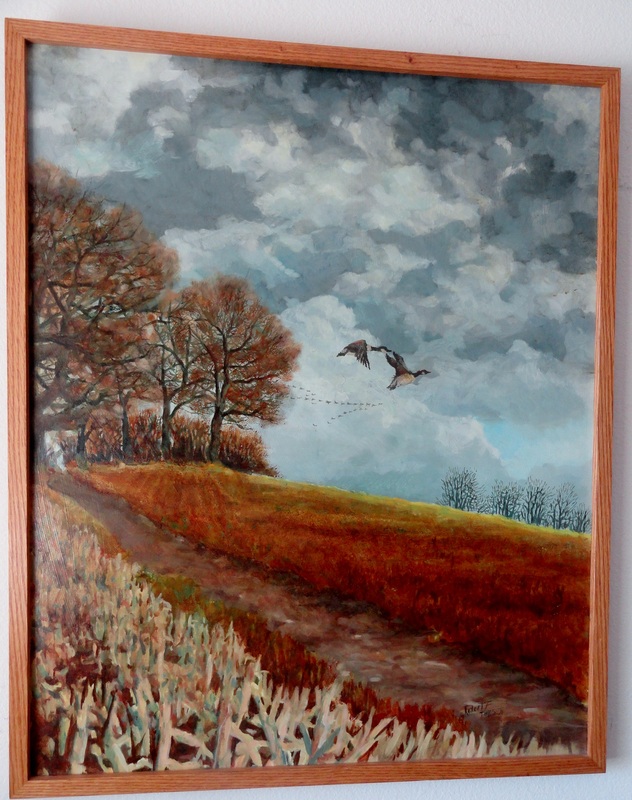 Geese in flight by Robert F. Travis 33 inches” x 27″inches untitled oil on masonite board, Circa 1970’s. Make offer. Or celebrate a time of personal harvest and thanksgiving with friends and family?